Sync swim data to PC, Mac, iPhone or Android. 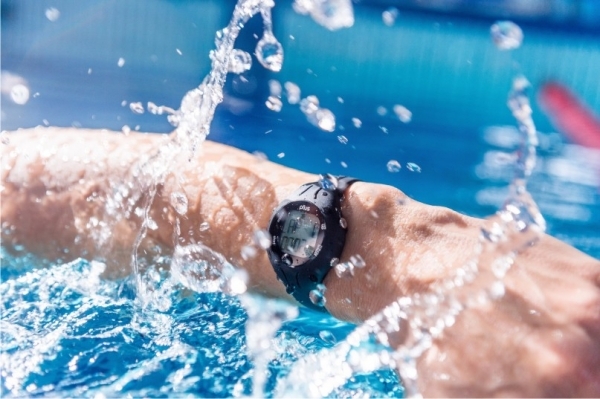 The PoolMatePlus contains a novel use of NFC technology to sync swim data to iPhone or Android devices by briefly holding the watch to the device, no pairing needed. 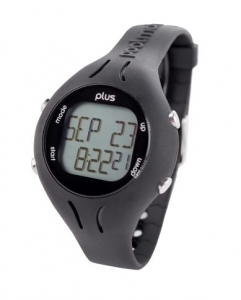 Whether you swim in pools or open water, the PoolMatePlus will track and download your swims. Don’t have a suitable phone, no worries, the PoolMatePlus comes with a download pod to plug into your PC or Mac to download your swim data to your computer. With a 2 year battery life, large clear display and connectable, it’s a super swim tool. The PoolMatePlus connects to Android or iPhone (by NFC), just install our app and make sure NFC is enabled on your device. If you don’t have a suitable device you can download data to a PC or Mac by the USB pod that is included. Smart phone: Syncs swim data by NFC, no pairing required. iPhone: iPhone 7 and above, iOS 11 and above. Android:NFC enabled device with Android 4.4 and above. PC or Mac: Syncs swim data by InfraRed transfer via USB pod. NFC (aka Near Field Communications) is already used for contactless payment systems and is included in the vast majority of smartphones. As well as payment details, NFC can be used to transfer other data. Swimovate have developed Android and iOS apps that will receive and display swim data by simply holding the watch to the NFC area on your phone for an instant. No need to worry about pairing the watch to your phone like Bluetooth, NFC does not require pairing. -Android app is available from Google Play and our app page. It’s very simple. Just open Settings > More and see if there’s an NFC option hiding there. Most smartphones that have NFC place a small NFC logo on their rear panels, too. Which iPhone can I use?